The world is connected through mobile phones, and that is how the distance between two corners of the world has become reachable just a call away. The mobile network companies have launched some of the mind blowing connectivity plans, and that is how the prominence towards the use of mobile phones has inclined drastically. With the use of mobile phones, has increased the demand of mobile phone accessories, including mobile repair parts, battery chargers, batteries, mobile covers, modem, mobile holders, earphones, connectivity devices, USB cables, memory card, etc. The high in demand designer accessories have produced big business opportunities for the productive minds, and even if you are planning to own a business of such domain, think of something creative and follow profitable and effective cell phone accessories business plan. Why cell phone accessory business is the key to large profits? It requires low investment– This particular business plan doesn’t requires you to have a very huge amount of capital. You can pursue this business plan with limited capital amount, and at the same time earn better profits. Fetches high margin– The profit margin on mobile accessories is way ahead than other similar options. This enables better profits at low investment percentage. Scattered market– The mobile accessory market is too wide, hence providing you the option to widely cover the market with your products, and gain huge profits with increased sales. 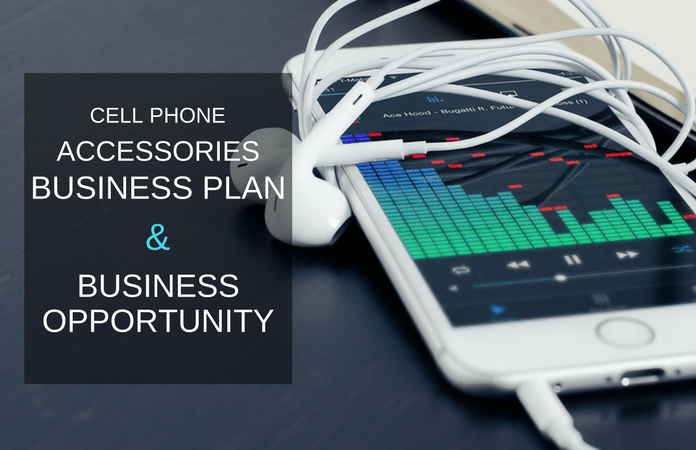 How to plan for a successful mobile accessory business? A business is successful when it brings in the market product and services which could successfully satiate the demands of its customers. To deliver for the demands, a business organisation needs to initially understand its targeted customers, and then move ahead with the business plan which strategizes to successfully fulfil the demands of the customers. Analyze the market– The foremost step lays in analyzing the market, study the demands, and research what’s already available. To be the best dealer in the market, you need to introduce something that isn’t already existing. Newness is what sells, and for making money you need to bring in the market products that are not common amongst other similar dealers. Budget planning– After you have analyzed the market, it’s time to decide what all you need to bring in. And depending on the concerned plans, now it’s time to pen down the budget. Depending on how much you have in your account, the further procedure has to be finalised. Start searching for the store location– Market location is what contributes largely in creating a prominence towards your business. You need to be present in the middle of the city, and be reachable to maximum number of targeted customers. Owning a stall in malls, and other shopping centres is another good idea. And depending on the location, you need to plan the budget accordingly. Line of products– Mobile accessory business is too wide, and so are the options in which you desire to deal in. It’s time to decide the line of products that you want to deal in. The business scale is totally dependent on what you deal in, and thus are influenced the other business factors as well. Advertising and promotion– A business that looks good, sells good. Advertising and promotion have off lately become the most important aspect related to the establishment of a new business. You need to tell the world that you are present, and this requires hunting for best modes of promotion. Since the mobile accessory business is low capital business, thus, you cannot invest more in advertisement than you have done in the establishment of the business. This asks for the demand of cheap yet affective promotion methods, and there comes the digital advertising into action. Modes of selling– The market has widened, and so are the modes through which you could reach your customers. Selling offline through your store is amongst those traditional means of business which has recently been taken over by the online stores. Apart from what you sell online, also take a lead through maintaining a presence online. Grab maximum customers through both the traditional and the digital means of making business. Arrangement of finances– Depending on what scale do you want to start your business on, and the various modes of advertisement and selling, you are now suppose to arrange for finances. Take your planned budget into consideration, and make the finances ready to be invested. Because it now time to bang on! This is how the mobile phone accessories business plan should go, and make sure you abide by the changing market trends. Bring it on with uniqueness, and then there could be no one stopping you.